Excellent condition 36mm gold plated case with light wear from use. The wrist watch has a Universal Geneve calibre 287 movement. The timepiece is on a black leather strap. 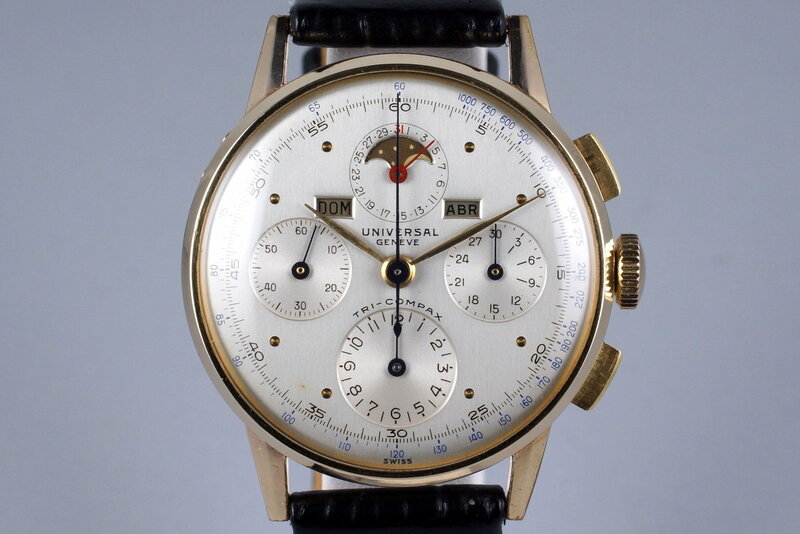 Excellent silver triple date moon phase dial on this vintage timepiece. Comes with Spanish day and month disks. No accessories are included in the purchase price of this vintage Universal Geneve Tri-Compax watch.